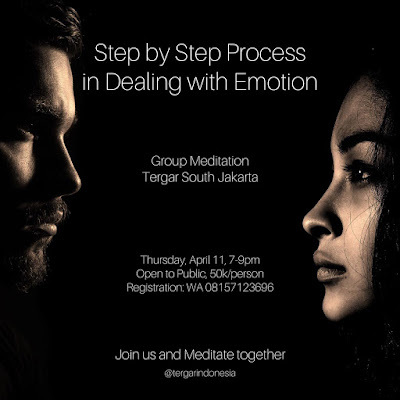 “STEP by STEP PROCESS IN DEALING WITH EMOTION”- bagaimana berelasi sehat dengan emosi? We can’t just deal with emotion by theoritical understanding (cognitive/brain level). In order to have a healthier relationship and expression of our emotion, we need to deal it with our Heart. And how meditation can help with that? What does it mean to deal by the heart? Komunitas Meditasi Tergar di South Jakarta, Jl. Hang Tuah 9 no.9, kebayaran Baru, Jakarta Selatan.